I had just completed a passionate blog post. Too passionate, maybe, as I had written over 8,000 words. That’s 1000x longer than the average Buzzfeed article. Worse, it was a giant wall of text with nary a visual element to break it up aside from some screenshots and a few tables. Ooh, exciting tables! I had recently read An Illustrated Book of Bad Arguments. It explained the various classes of logical fallacies in a beautiful children’s book style. I was impressed at how well it used illustrations to make dry academic ideas fun and easy to consume. Maybe cartoons could have the same effect on my massive tome of a blog article. I couldn’t draw cartoons myself, as I’m a terrible artist, so I set out to find someone who could help me. Having never hired a cartoonist before or even worked with one, I didn’t know where to begin. I frequently outsource work through Upwork, a freelancing platform, so I decided to start there. But how was I supposed to choose an artist when I had no idea what I even wanted? I created a job listing explaining that I’d hire multiple cartoonists to submit one cartoon each as a trial job for 8-10 more. Within two days, I received 13 submissions. Some of the applicants’ portfolios were clearly bad, like doodles you’d see in the margins of a high schooler’s Calculus textbook. Others were good but had the style of a graphic novel or political cartoon, which wasn’t what I wanted. For additional context, I linked to the section of my blog post where the cartoon would appear. Sofia was the first artist to submit her sample. I liked it. The animals were just human enough to be funny, while still being cute and whimsical. She nailed the expressions. The cat looked kind of snobby, which was fitting because it represented me. Manel’s submission was impressive in how closely it matched the style of An Illustrated Book of Bad Arguments. Her first sketch was even more on the nose, but I asked her to tone it down a bit so that it didn’t look like we were blatantly ripping off the book. Christine’s was the most elaborate. We learn a great deal about the two characters and their relationship just from the little details of how they’re dressed, their expressions, and the items around them. It felt like a New Yorker cartoon. Loraine’s submission was the clear winner as soon as I saw it. It was everything I didn’t realize I had been looking for the whole time. I had led the artists astray by referencing An Illustrated Book of Bad Arguments. In that book, the cartoons are the star of the show. In my blog post, I wanted the cartoons to support the text, not the other way around. Loraine’s cartoon was by far the simplest, but it was also the most efficient. Like elegant code, it communicated the essential idea and eliminated everything else. I offered Loraine the job, and she promptly accepted. Everyone’s heard the expression, “The value of a picture, when converted to units of words, is equal to one thousand of them.” It turns out, that’s true. After I hired Loraine to do the full set of cartoons, I tried to explain the next cartoon to her in prose. It felt awkward and inefficient. I realized I had a misguided notion about separation of duties. Loraine’s job was drawing; my job was writing. But I was obeying this imaginary rule too strictly. I sent her a basic sketch to convey my idea, and it immediately made the process much easier. The dog has just finished fighting a shoe in a UFC match. 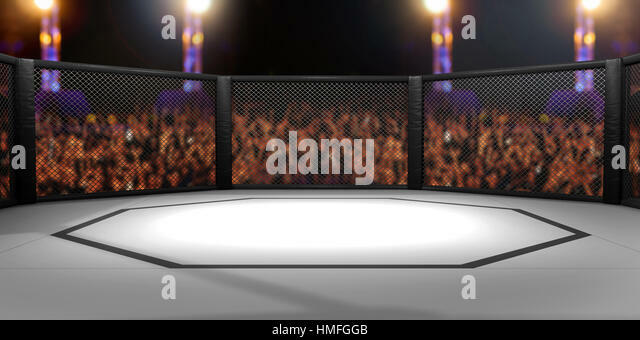 I’m not sure how familiar you are with UFC, but the fights happen in an octagonal ring (example, example). A human referee is holding the dog’s paw up in victory. UFC referees wear black pants, black polo shirts, and gloves (example, example). So the dog has won, but he has a black eye and some welts as if the shoe hit him back. The shoe is lying on its side on the ground, torn up. Right off the bat, it was pretty close to what I wanted. I asked her to proceed with that sketch, and she sent me a more detailed version. We went a few rounds on minor fixes, but you can see the changes get smaller and smaller as we converge on the final design. Evolution of "Offer sincere praise" cartoon from "How to do Code Reviews Like a Human"
My articles are generally not very popular on Twitter, but this one received hundreds of likes and retweets. @java shared it with their 371,000 followers, using one of the cartoons as the photo. On reddit, one of the top comments specifically cited the cartoons. You’re probably wondering how much this all cost. I know! It’s a lot. Especially for a blog like mine that doesn’t really make money. But I had to break up the text somehow. It was either this, pay for stock photos, or spend hours trawling through free stock photos that kind of fit. See? It’s something to look at, but it’s not quite right. There were many instances throughout this process where I didn’t know what the standard procedure was. How many revisions could I ask for? Do I need to give attribution? What’s the right way to describe cartoons? After I published the blog post, I reached out to the four cartoonists I worked with to ask if they’d let me interview them for this article. They all seemed intrigued by the unusual request and agreed to speak with me. Below, I’ve compiled tips for hiring and working with cartoonists based on those interviews and my experiences as a client. Every cartoonist I interviewed emphasized how unpleasant it is to work with clients who make unreasonable demands and threaten poor ratings. Therefore, cartoonists screen their clients carefully during the interview process to avoid putting themselves at the mercy of a bad client. The cartoonists all described similar qualities they look for in a client when deciding whether to accept work. It’s difficult to choose a cartoonist based solely on their portfolios and a brief interview. Instead of investing hours into rigorous screening, hire the cartoonist for a small job to get a sense of how you’ll work together. Resist the temptation to ask freelancers to draw you a free, custom sample cartoon as part of the interview process. Like any profession, the people who are good don’t simply give away their work. Hire on a fixed-cost basis if you have a clear vision of what you want. Hire on an hourly basis if you don’t quite know what you want and you’d like the artist to help you explore different ideas. If your listing is basically, “Looking for cartoonist who draws good,” it sends the message that you view artists as interchangeable cogs that crank out work on demand. This will attract only low-quality cartoonists, desperate for any work. Will it appear in a blog article? Is it your new website logo? Do you need the full copyright or just the right to use it once? If you’re using a freelancer site, check the standard contract terms, as they may automatically give the client full intellectual property rights (Upwork does). Do you just want the finished images (jpeg/png) or the raw files as well? Platforms like Upwork allow you to search for available freelancers and invite them to apply for your job. Take advantage of this to increase the quality of your applicant pool. Browse the portfolios of available artists. If you like a particular freelancer, take a few minutes to write them a note explaining what you like about their work and why you think they might be a good match for your job. A low-quality applicant may tempt you with a cheap bid. Before you’re taken in by the cheap rate, estimate how many additional hours you’ll spend managing them and how much longer it will take them to produce work that meets your standards. Just draw stick figures on a piece of paper and take a picture of it. You’re trying to capture the broad ideas, not the specifics. Imagine you want a cartoon that features a car. Well, there are many types of cars. Is it a sports car? An SUV? A sedan? Use Google Image Search to find examples of what you have in mind, and share the links with your cartoonist. On an hourly contract, revision limits matter less because you’re paying for the time. For a fixed-cost contract, stay within a reasonable number of revisions. The cartoonists I interviewed varied in how many edits they considered fair, but the upper limit was between three and six. While none of the artists I spoke with said they strictly require it, they all agreed that it’s standard practice to credit the artist when you hire them for a blog post. Thanks to all the artists who spoke with me for this article and to Nicole Michaelis for volunteering her time to edit this piece.